Dr. Daniel Drapacz excels in the field of podiatry, where he specializes in advanced surgical techniques and laser cosmetic and reconstructive surgery of the foot and ankle. 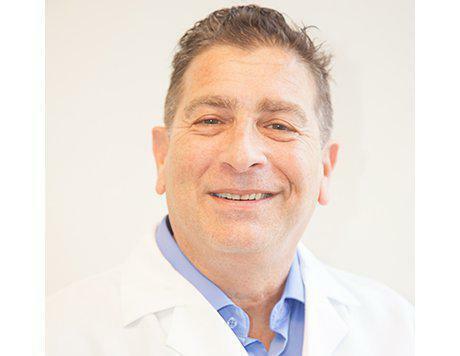 At his practice, New York Foot Experts: Daniel Drapacz, DPM, he expertly treats patients with common problems such as heel pain, bunions, corns, flat feet, and plantar fasciitis. In addition, Dr. Drapacz also provides cutting-edge care for complex foot and ankle fractures and conditions that are typically difficult to treat, such as chronic toenail fungus. He offers patients of all ages the convenience of multiple New York City locations, with offices in Midtown Manhattan, Harlem, the Upper East Side, and the Financial District. Dr. Drapacz graduated with honors from the California College of Podiatric Medicine, where he received extensive training in foot and ankle surgery, as well as sports medicine. He went on to complete an intensive and comprehensive two-year surgical residency at East Orange General Hospital. He was honored to be chosen by his colleagues to serve as Chief Resident of Foot and Ankle Surgery. During his tenure, he was responsible for the training and education of other surgical residents and externs in reconstructive surgery. Dedicated to combining the latest technology with his experience, Dr. Drapacz delivers compassionate care that helps his patients rehabilitate from foot and ankle problems and return to their daily activities, free of pain. Dr. Drapacz does his best to accommodate emergencies and your busy schedule by offering same-day, Saturday, and evening appointments. If you have any questions about foot and ankle problems or his services, please call one of his offices or use online booking to schedule an appointment.